When I was in college, I remember me and my girlfriends making such a big deal about Cinco de Mayo. Any excuse to party, right?! Well, in the good ole Delta of Cleveland, Mississippi, we had two Mexican restaurants: Guadalajara and La Cabana. What's funny is, everyone had their own opinion about which one was better so there was often a debate when we decided where to eat Mexican food - particularly for Cinco de Mayo. Usually whoever got out voted lost, but because we all just wanted to be together, no one ever really cared where we went. If you happened to be the one that got out voted that day, you just threw on some heels, fluffed up your hair, and said, "ok whatever, let's go get margaritas!" Because in the end, it wasn't about the food or the drinks, it was about being together! 1. Pour the strawberries, ice, tequila, triple sec, lime juice, lemon juice, agave, and salt into a blender. Blend on high until it all comes together. 2. Pour the mixture into a large punch bowl. 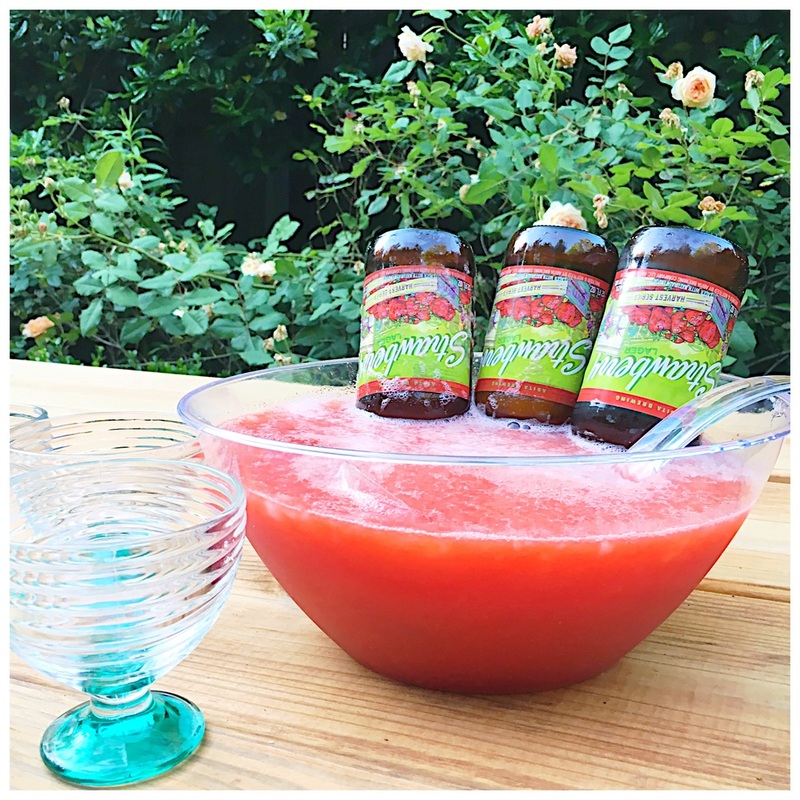 Open the strawberry beer bottles and turn them upside down, directly into the ice mixture. 3. Serve in salt rimmed glasses.